Ben and Susie Thomas: How to measure 11 years. It's never morbid to see how beautiful life is, even though it is tumultuous. Grace and Peace on your beautiful love for each other and God. 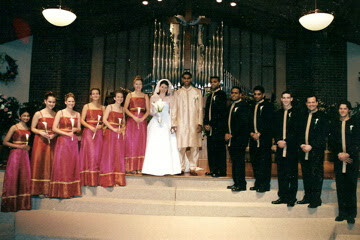 First of all, who is that groomsmen three in from the right? Can you set me up with him? Second of all, LOVE your life and everything you've crammed into it thus far! And I will be at that party in 2051 - I'll be 70, but I'll still try to bust a move or two...Love you both! Happy Anniversary! This is beautiful, Susie. Thanks for sharing. Happy Anniversary! You are truly an example of someone choosing joy and taking advantage of the abundant life that Jesus has promised us! Thank you for sharing! To see the beauty of a rose in the midst of thorns is an ability very few people have. Thanks be to God who helps us see glory in the midst of the cross. Love is not a matter of quantity but rather a qualitative experience of grace. Ben and Susie - you are a true reflection of God's love.